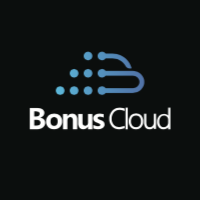 The wallet binding function of BonusCloud has already launched, now you can sign in on the BonusCloud official website (bonuscloud.io) and go to “Account Setting - Wallet Binding” to bind your ETH wallet. Please use the ETH hot wallet that supports erc20 token as the wallet for cash withdrawal. The wallet address format is a 42-bit string starting with 0x. Don’t use the exchange’s address, which may result in a withdrawal failure and loss of revenue. The wallet unbinding function will not be opened yet. Please check whether the bound wallet address is correct. If the cashier’s address is incorrect, the cash will be lost, and BonusCloud will not bear any responsibility. Purpose: to avoid the failure of withdrawal due to the error of the wallet binding. Go to the official website: bonuscloud.io, sign in and go to the “Account Setting — Wallet Binding” to bind your ETH wallet. Go to the “Data Panel” page and find out your invitation link, copy the last six numbers of the link. The data of the chain will be under the verification after the successful transaction, if the account, ETH wallet and hexadecimal data pass the verification, then the ETH wallet binding will be considered correct. Each ETH wallet is allowed to bind to different BonusCloud accounts. Please can someone supply me with the link to the Online Guide for WebAnimator.